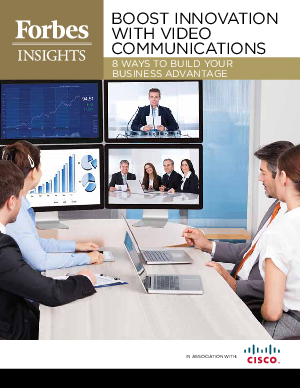 A convergence of low-cost but high-quality technology and a highly competitive business environment is making video collaboration a channel of choice for today’s information workers and decision makers. The availability of relatively low-cost technology—including high-quality videoconferencing equipment, high-bandwidth networks and easy-to-use applications and tools—is bringing video collaboration within reach of today’s workforce. The impact on innovation and productivity—as well as critical business processes, from customer service to problem-solving—is only just starting to be felt.